Passage through Mexico: The global migration to the U.S.
TAPACHULA, Chiapas — The sun has barely risen and already hundreds of migrants are gathered outside the vast white and green immigration detention centre, hoping to get through its gates. Most have travelled thousands of miles on foot, by boat and bus from South America, but few here speak Spanish. In front of the locked gates near Mexico’s southern border, it’s an eclectic mix of French, English, Creole, Urdu, Lingala and Somali. This eclectic crowd is part of a huge surge in African and Asian migrants traversing the Americas in hope of a better life in the US. The circuitous passage means paying thousands of dollars to coyotes – or people smugglers – to cross 10 countries, where overcrowded fishing boats, mosquito-infested jungles, armed bandits and immigration agents await. 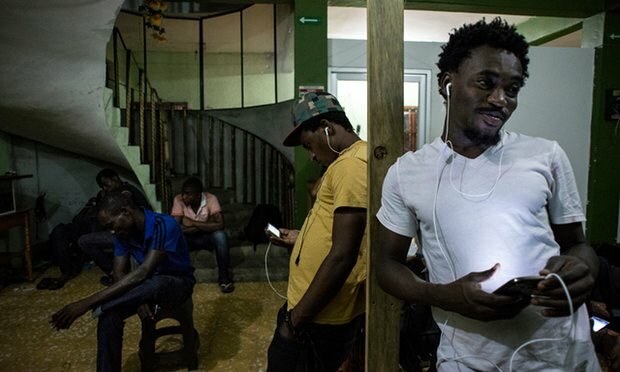 Despite the dangers, about 7,882 Africans and Asians presented themselves at Mexican immigration in the first seven months of this year – 86% higher than in the whole of 2015 and more than four times the number registered in 2014. At the end of August, Tapachula’s immigration registered 424 Africans in just two days. Over the past decade, Latin America has become an increasingly popular route of entry to the US for Asian and African migrants, but the current surge in numbers is unprecedented. The numbers are still tiny compared to the hundreds of thousands of Central Americans fleeing violence and poverty, but the treacherous route crossing Latin America is becoming increasingly popular as people from across the world seek new ways to reach the US. The vast majority arrive in the city of Tapachula near the Guatemalan border, without a visa or even a passport. But unlike Central Americans, these migrants can obtain a temporary travel document which allows them to continue unimpeded to the US border since Mexico has no deportation agreements with their countries.